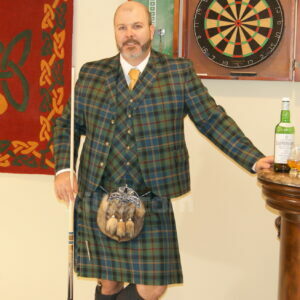 Browse our wide range of kilt jackets and kilt vests. We have every style of jacket from the traditional Prince Charlie jacket to Tweed & Argyll Jackets. 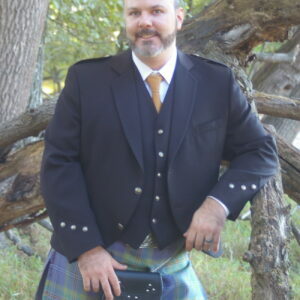 Kilts.com has a kilt jacket for you for any occasion. 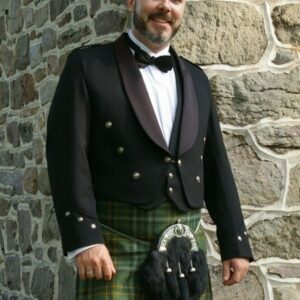 Whether you are looking for a classical kilt jacket such as the Prince Charlie, or a more modern contemporary garment such as a Tweed or Argyll Jacket, we have range to match all budgets and styles. 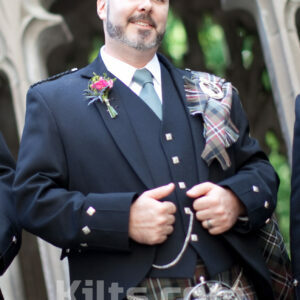 Need a kilt jacket or kilt vest for a wedding? 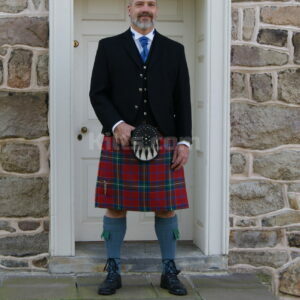 We would recommend the Prince Charlie or Brian Boru kilt jacket and matching kilt vest. 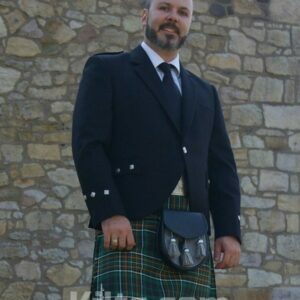 If you require a semi-formal kilt jacket, then why not browse the Argyll, Wallace and Kilkenny kilt jacket and kilt vest sets. We also have a range of custom made bagpipe band jackets & doublets. All our jacket and vests are made in Scotland. 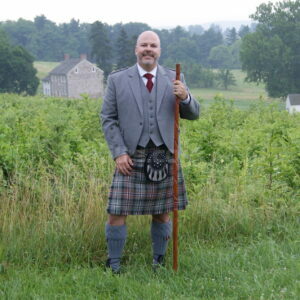 We’d recommend you take a look at the kilt jacket measuring instructions before ordering from Kilts.com. Custom Product 8-10 weeks delivery. Please browse the measuring instructions prior to ordering. UK Sizes. If you are American and wear a 42, order a 44. This jacket runs 1 size small. Example: If you normally wear a USA 44 Reg, order a 46 Reg. Custom Product - 6-10 weeks delivery. Please browse the measuring instructions prior to ordering. UK Sizes. If you are American and wear a size 42, order a 44.